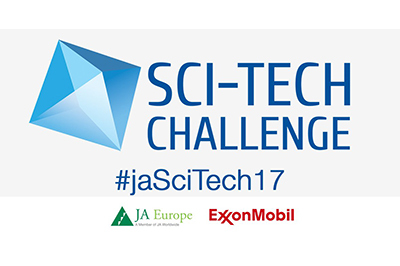 For the eight consecutive year, the Sci-Tech Challenge aims to encourage students, aged 15-18, to consider Science, Technology, Engineering & Math (STEM) oriented careers, raise awareness of the importance of STEM skills and how these can be applied in enterprising ways to tackle the challenges of tomorrow. More than 10,000 students have taken part in their own national Sci-Tech Challenge activities. The best three national teams will travel to Brussels for the European Grand Finale, where the winner will be announced.